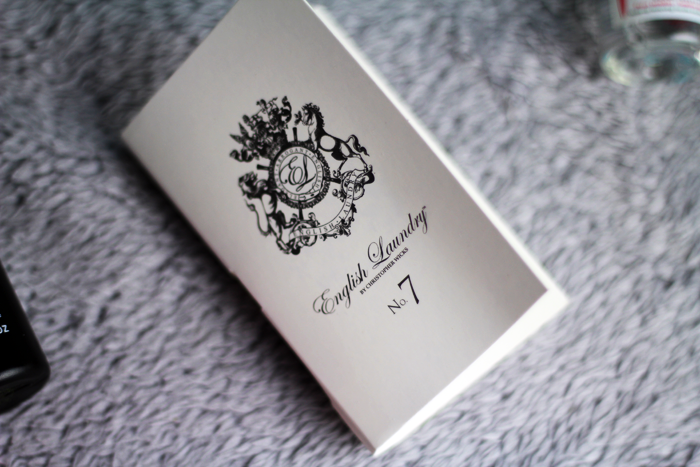 When Debenhams invited me to take part in their early blogger Secret Santa, I couldn't say no. Christmas is one of my favourite times of the year, and although I try to make sure my excitement is well and truly contained until at least the end of November, I couldn't resist the opportunity to take part in some early festive cheer. 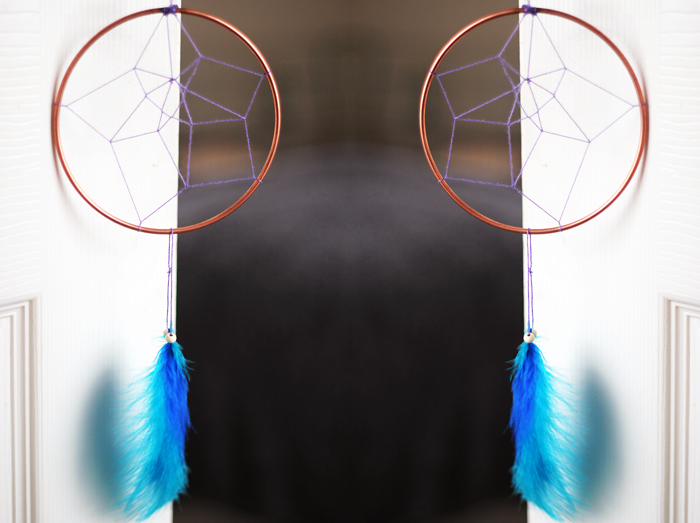 The first gift from my Secret Santa, Love Chic Living, leads me to believe that she's able to read minds. 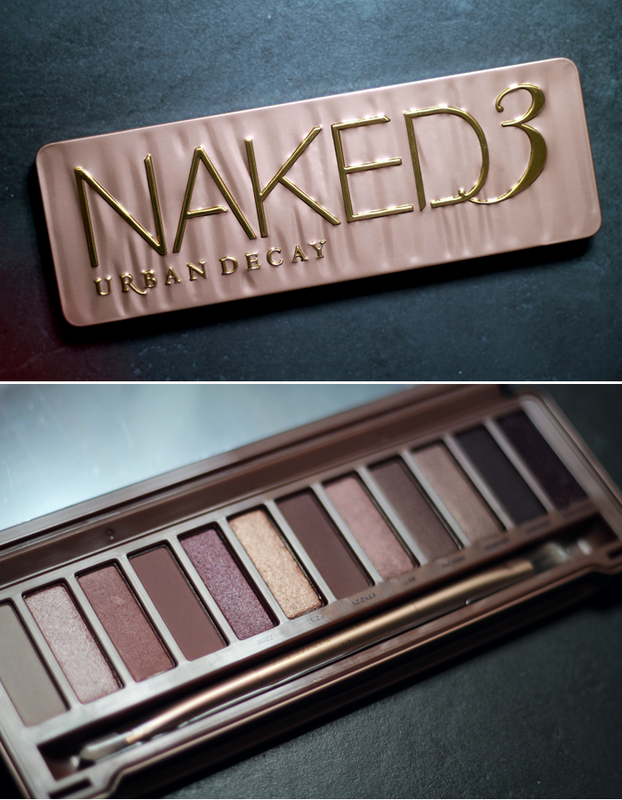 It's no secret that I don't wear a lot of eyeshadow but I have secretly wanted the Urban Decay Naked 3 palette ever since it came out. I never ended up caving and buying it for myself because I couldn't justify it, but I looked at it all the time and now I have one of my own! 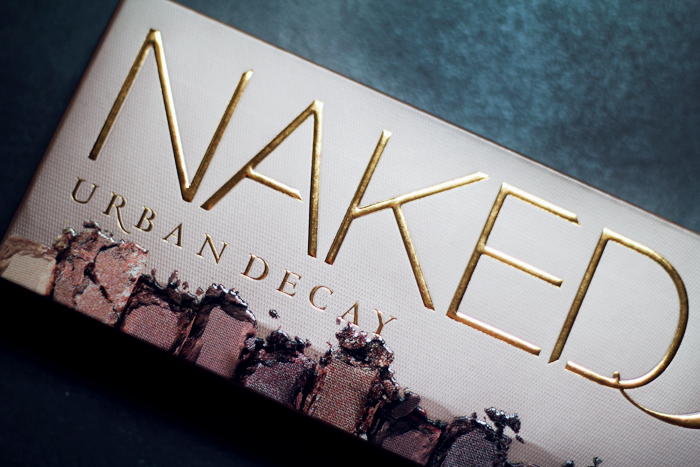 At the moment I really like smudging a shadow on to my lower lash line and I'll happily be able to do that with every single shade in this palette. It's lovely. The second gift I received is one that keeps on giving! 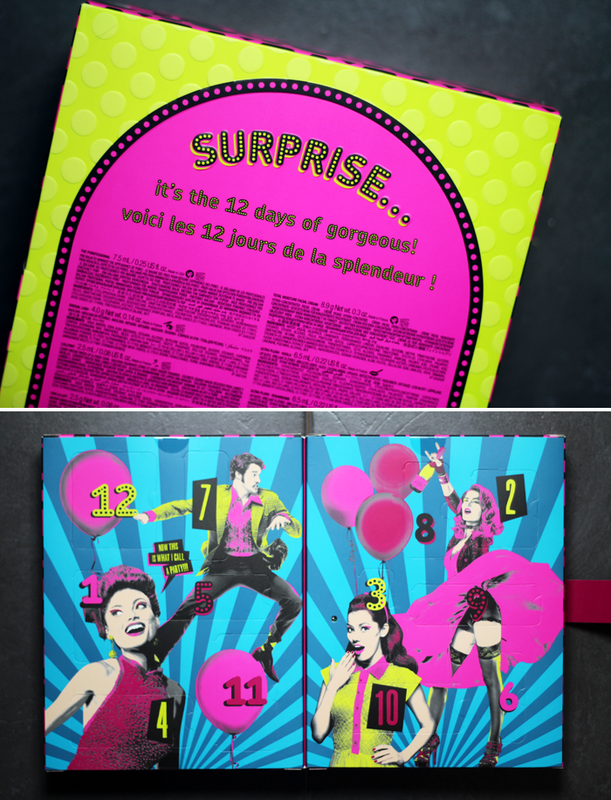 Inside the Benefit 12 Days of Gorgeous are twelve (obviously) of their iconic products in miniature form. I haven't opened any of the doors yet and although I'm sure it won't remain untouched for long, I'm quite impressed by how much restraint I'm managing to show thus far. There's a miniature Rockateur in there somewhere, a blush that is exactly my kind of colour, so I'm looking forward to opening that door already. It's funny how things can so often come together in the end, isn't it? My original parcel was unfortunately declared lost and Debenhams very kindly sent a replacement, but it seems that parcel luck was on my side after all and the original & the replacement ended up arriving just a day apart. 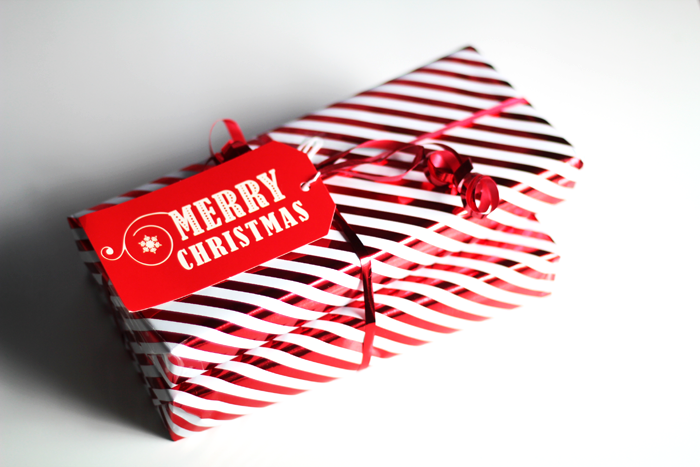 This means that I'm now able to do a little giveaway and help spread the early holiday cheer to two of you! 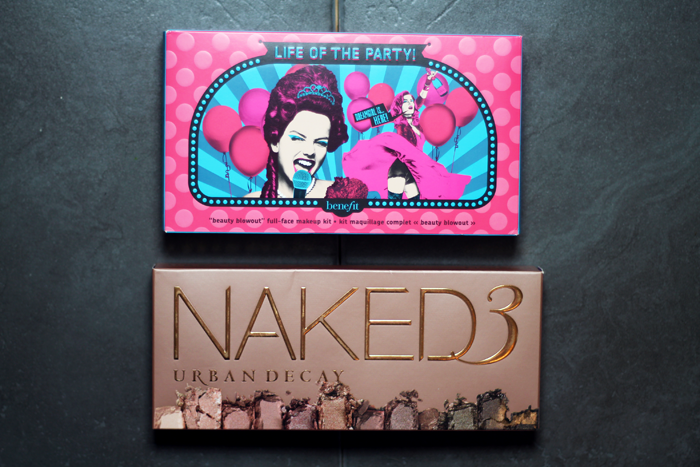 which prize you would like to be entered to win; Urban Decay, Benefit, or both! a way of contacting you if you were to win; e.g. an email address, or twitter name. let me know in your comment if you've tweeted and I'll make sure to count your extra entry! The giveaway close at midnight GMT on Wednesday 4th November 2015. Please read the entry requirements carefully and be sure to include all required information. Do not include your postal address in your comment. There will be two winners chosen at random from all qualifying entries on Thursday 5th November 2015, with prizes being posted via Royal Mail within 10 working days of receiving a delivery address. Winners will be contacted directly by myself. If you are underage, please get the permission of a parent/guardian before entering as I will need to obtain your postal address if you are chosen as one of the winners. Your address details will not be passed on to a third party. Let's get reacquainted, shall we? I think it's time. 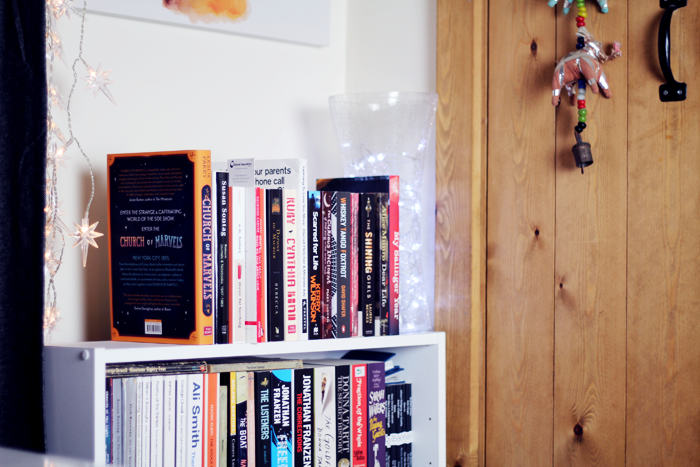 So blogtober was a thing that happened... sort of. It was a thing I started but didn't finish. And for once I can say that it's not because I failed. Something didn't feel right. Pausing was a conscious decision. And I paused everything I possibly could in my life. Because this isn't just a blogging blip. I think I'm having a life blip. The notion of being secure in the decisions one makes, having the bravery to commit to the things in life that make one truly happy, and the ability to hold on tightly to the belief that those things will lead to something fulfilling and comfortable, for me, still has a mythical aura surrounding it. And this isn't necessarily a bad thing. Nor is it something I am alone in feeling. But it is a little tricky to navigate. I feel like I'm playing a game of 'stuck in the mud'. There's no one around to come and unstick me but I haven't quite figured out how to unstick myself, which in the game is cheating, but in real life I think it's essential to learn. With general life things up in the air, blogging has been too. All this stop start, back and forth over the last few years has really been because I was trying to fit into a space I didn't belong. Maybe I did once, and I loved it, but I don't anymore. There's no point forcing it, or wasting time wishing I could go back to being the person I was then, because I'm not that person anymore. And it's okay. It's time to discover the good things about being who I am right now. And although I'm not really sure how to start doing that, I'm going to give it a good bash. 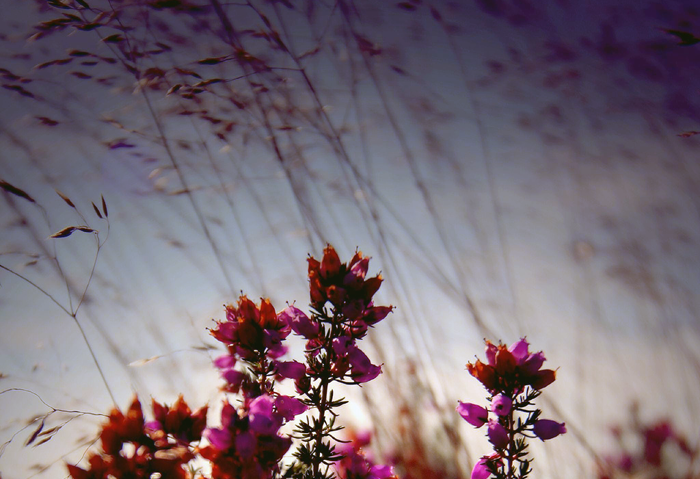 Allowing oneself to be vulnerable is difficult. My instinct is to close off my emotions as much as possible around other people, until I can retreat to a safe place alone and let them loose. I had reached the point of feeling as though this space was a safe place, but I listened to outside voices that made me feel like all the things I was feeling were wrong, somehow invalid, and writing them here was the worst possible thing I could do. That I should stop and push them away as much as possible. But I think it's okay to be vulnerable, to be honest, and I've learnt that writing things down gives my mind a much needed rest. So I'm trying to reclaim this as one of my safe spaces. Thus first on the list of things to tackle was adverts. I'm not against adverts. Never have been. Never will be. Heck, I still have some. But reaching the point of adblocking my own blog was a bit of a low point for me. After a lot of emails back and forth, the full page adverts should (better bloody be!) finally be gone, once and for all. Next on the agenda? Saying hello again..
Hello, I'm Jennie. Officially Jennifer, but that makes me feel like I'm in trouble. Not cool enough to pull off Jen. Closer to thirty than twenty and completely okay with that. I'm terribly short sighted; the kind that involves needing to pay extra to have my lenses thinned to stop the edges looking a little bit like the bottom of glass bottles. Unable to shake my preference for ridiculously oversized spectacles. According to my other half, the pair I'm wearing in the pictures above make me look like a '1970s Italian film director'. I took it as a compliment because, well, why wouldn't I?! Brilliant. I'm an only child, right handed, and many would describe me as shy but I don't think that's quite the right fit. I am however certainly one of the most introverted introverts there can be. And that's sort of funny because I am endlessly intrigued by other people and their stories. I'm not the easiest person to get to know because I always feel so silly talking about myself. Although I do have this blog. Writing things down is infinitely easier than talking. I have been a complicated person to know. And that's different from complex. We are all complex with our quirks and unique nuances. Complicated is difficult and I understand now that it's tricky to be friends with someone who sometimes drifts into a world of their own for weeks on end. But I'm striving to lead a simpler, more present existence and I hope, in time, that will attract some new, stable friendships. The company of friends outside my family is something I sorely miss, and I'm not really sure where to start. My school reports always used to say 'Jennifer must participate more in class'. But Jennifer never did. Partly stubbornness (not my best trait, I'm working on it) and partly because I had an irrational fear that I'd be laughed at if I got the answer wrong. I'm happy to report I don't mind being wrong now. And I don't really feel embarrassed too often. Being willing to laugh at myself has been one of the single most freeing revelations I've had. That's not to say I don't have things that embed themselves within my heart and hurt a little. I certainly do. Although they're few and far between right now and I'm eternally grateful for that. And those things that are able to hurt me, I push them away and ignore them as much as I can. That's not necessarily the best way to deal with things, I know. Especially when those actions inadvertently end up hurting someone else's feelings. Never have I felt more comfortable in my own skin. The way my nose sits a little wonky on my face? Not horrid, but interesting. Those seemingly perpetual blemishes on my chin? No big deal. But that's not to say that there aren't things I'm working on changing. I'm striving to be more generous, more informed and less inclined to fall into my self built comfort zone that I can quickly become reluctant to leave. For the last four-ish years I have lived in the countryside on the doorstep of some of the most beautiful views I've ever seen. Note to self, appreciate them more. Before that I lived by the seaside. And Oh how I miss the sea, the salty air and the pine trees. Moving to Scotland is up there on my list of life goals. Hopefully somewhere close to the ocean again. Recently I gave up tea because I was pretty concerned for my teeth. The headaches that would develop if I didn't have a cup every few hours weren't great either. Fun fact, I've never really liked tea that much. The truest, most authentic sense of joy I feel comes with writing and taking photographs. When I was nineteen I was accepted to Edinburgh College of Art to study photography. With such small classes, that is still one of my greatest achievements to date. Unfortunately I had to give up my place to be with my family, and somewhere along the different path I took I convinced myself that it wasn't for me anyway. Film photography makes my heart sing like almost nothing else, and I'm making a promise to myself to shoot more pictures much more frequently. I believe that life is for learning. Discovering new things. Enjoying old loves. Being with people who make you happy. I now officially have a BA (Hons) English Language & Literature from the Open University. It took me a little longer after a few false starts at 'regular universities'. But I got there in the end. I will forever champion the wonder that is the Open University, and how much it does to encourage its students and champion education for all regardless of circumstance. I hope it will continue. Rinko Kawauchi's work has been a constant source of inspiration for almost ten years. ♥ Lost in Translation. Eternal Sunshine of the Spotless Mind. The Breakfast Club. Ten Things I Hate About You. ♫ Banks. Nirvana. Adele. Amy Winehouse. Florence and the Machine. Sia. The Civil Wars. Lana Del Rey. Zero 7. The White Stripes. Sampha. Leon Bridges. The Libertines. ♥ The Perks of being a Wallflower by Stephen Chbosky. Rebecca by Daphne du Maurier. The Luminaries by Eleanor Catton. A Little Life by Hanya Yanagihara is perhaps the novel that has had the biggest impact on me in my adult life. I haven't felt quite this way about a book since Harry Potter. Concepts and theories surrounding high literature aren't hugely important to me. If a book, poem, play, whatever form it takes, makes me feel something, whether that's happiness, devastation, the warm fuzzies in the pit of my stomach, that's what I'm looking for. My television loves are still firmly with the Nickelodeon shows I watched as a kid. Sister Sister showed me how valuable family is, Kenan and Kel the beauty of friendship, and Sabrina that even magic can't solve everything. Sailor Jerry rum was the inspiration for my online presence, sailorjennie. Everyone has at least one special talent, of that I am sure. I'm fairly convinced that mine is sleeping. I can sleep any time, anywhere, even if I'm not tired. Getting caught up in the details isn't important right now. And that's sometimes difficult for me, but I'm learning to seek out and appreciate the value that lies within the bigger picture. Because there are an infinite amount of details. And the bigger picture is a whole that seems easier to tackle right now. Forever finding myself looking up at the sky. 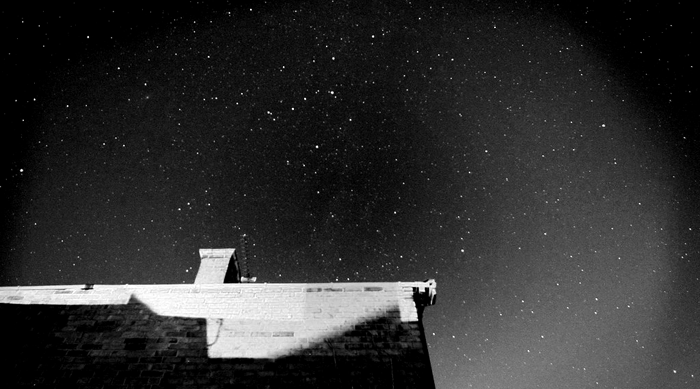 Especially the night sky. Watching milky peach hues gradually change to the clearest blue, before everything darkens and the stars come out to say hello. True beauty. I like to believe that our souls drift skywards when it is time for them to leave our bodies. Maybe we'll go on to form black holes, or simply drift for eternity with a sense of blissful contentment. But that is for another time. Another existence. For now I'm constantly learning what it means to be human. Planes, going to the dentist and large spiders are the silly things I'm afraid of. Some of the bigger things are being completely alone, leaving this planet before my mother, and being unable to have a child. I wish for everyone to be able to live as their truest self. Not to me, no one owes me anything. But I hope everyone is able to be honest with themselves. Everyone deserves their best chance. I used to operate solely in dream form. It was like I was disconnected from reality and my mind was firmly in the future living an alternate life. Although I believe in the power of dreams, laying down the groundwork to allow oneself to reach those dreams one day, alongside living in the moment is essential. I've learnt that it's not silly to seek out good things, no matter how inconsequential. That beautiful sunrise. That really great piece of cake. The bus arriving early. That silly conversation with someone important. All of those things do matter. Happiness used to come from surrounding myself with things, just so I could feel like there was something there that I owned. But now it comes from elsewhere and that's comforting. I am enough. You are enough. We are all enough. Today I don't have anything to say. Instead of shouting into the void, today I'm going to delve into worlds imagined by talented writers who do have something to say. And I shall savour every second, exploring, understanding, empathising. 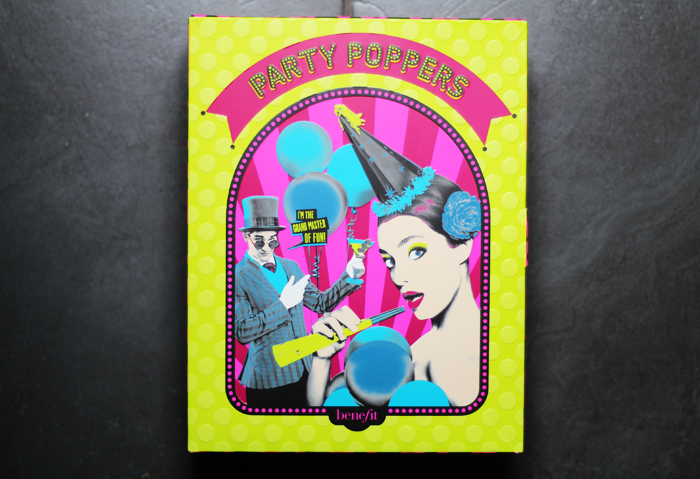 This month Birchbox* have two different boxes and are letting their subscribers choose which one they would most like to receive. 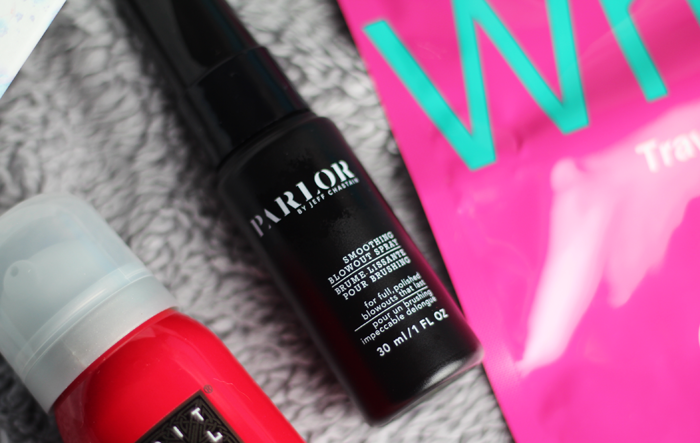 The first box has been curated by Stylist's Associate Beauty Editor, Joanna McGarry, and includes six products that are perfect for beauty aficionados. The second box is focused on mastering the beauty basics and includes products that will be easily incorporated into a daily routine. 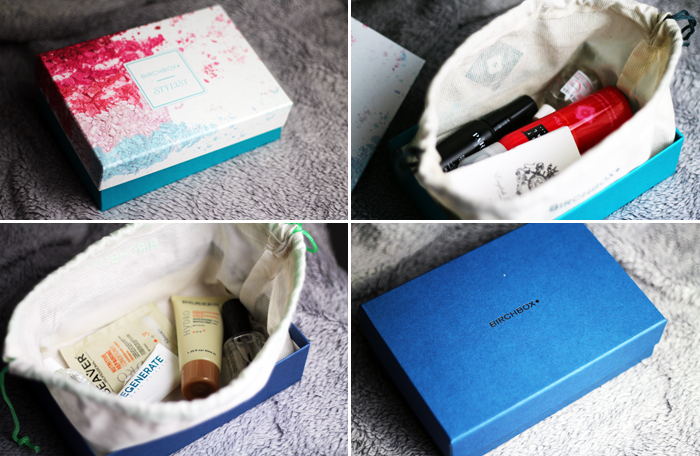 Box One: The Stylist Box. 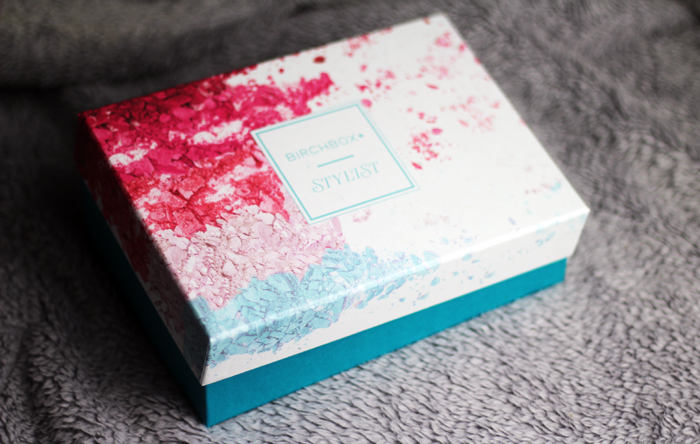 The first guest edited Birchbox has been curated by the associate beauty editor of Stylist magazine, Joanna McGarry. I always find it interesting to hear more about the products that make the cut with people who work with beauty every day, so for that reason I think this may be my favourite of the two boxes. It was immediately so nice to see a 100% natural and vegan product inside. 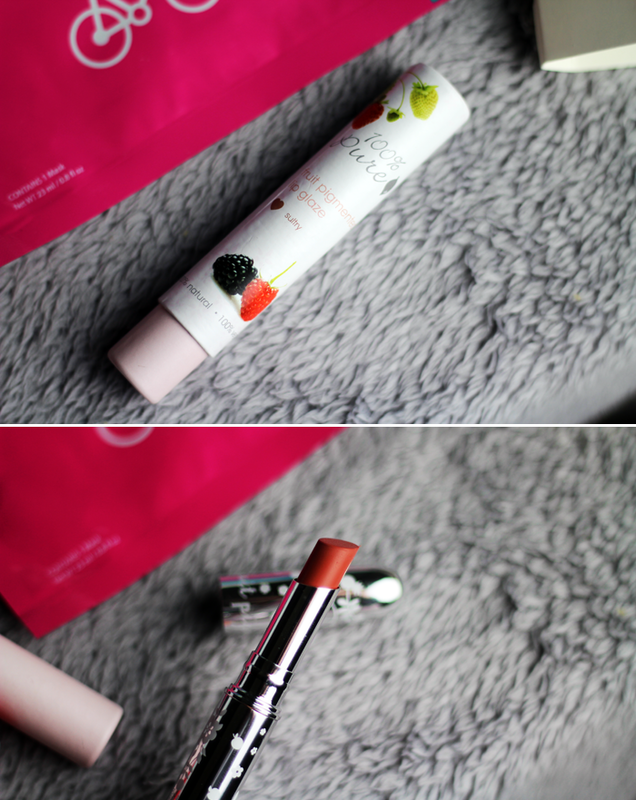 The Lip Glaze is encased in fabulous packaging, the formula is smooth and the colour is rich. First impressions are really good. 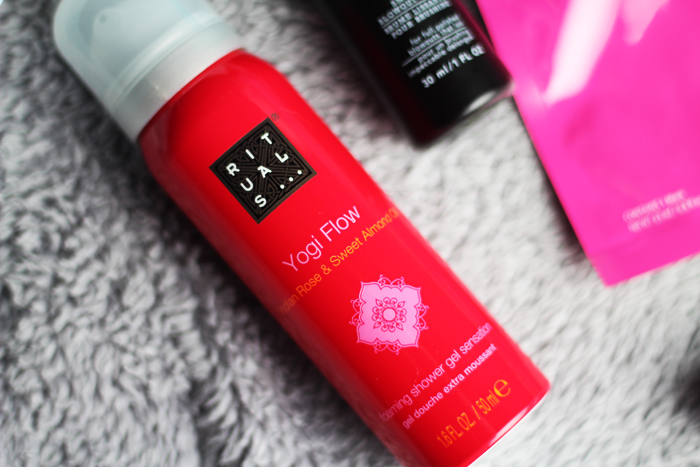 Rituals shower gels always feel like a real treat to use, the foam is incredibly luxurious and the scents are always beautifully formulated. 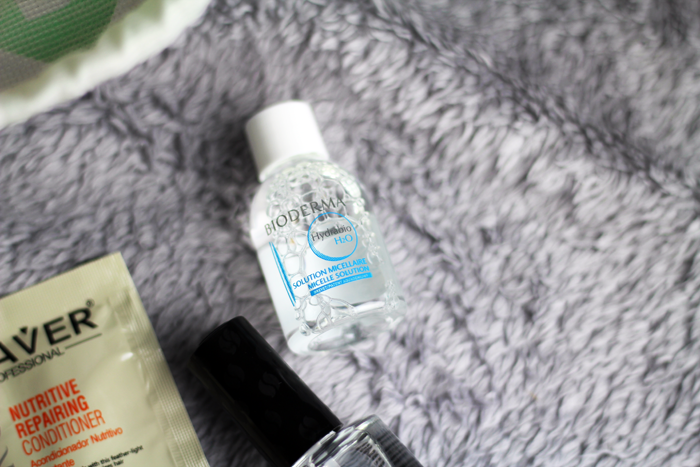 Micellar waters will always be very handy to have around and this miniature bottle of Bioderma is adorable. 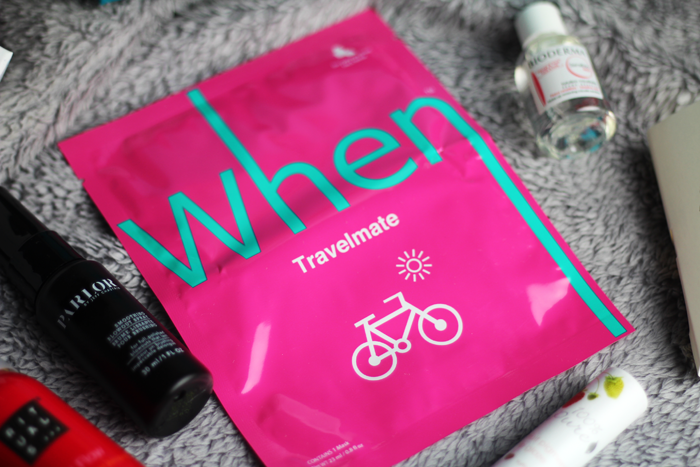 The Sheet Mask will be saved for an evening when I have some time to really relax, or I might take it with me the next time I travel as I can see it being the perfect pick me up after a long day. The little perfume sample doesn't really interest me, but I'm very pleasantly surprised by how much I like the scent. It's delicate and fun, with a touch of musk. It's lovely. And finally, the blowout spray promises to stop frizz, protect against heat damage and allow the hair to hold a style for longer. I'm not usually one for hair products, but I'll certainly be giving this one a try. Box Two: Back To Basics Box. 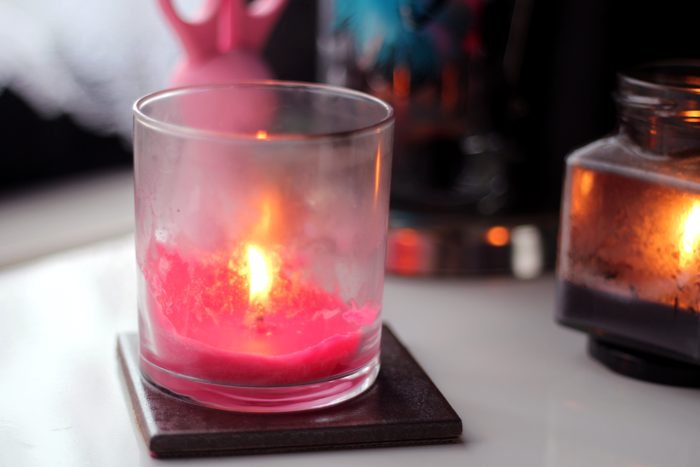 Going back to basics is brilliant when you feel the urge to reset and start afresh. When I first saw the theme for this box I thought it could be a little bit dull, but I think they've done well to put together a range of products that look very useful. I don't think any of these will be hanging around in my sample drawer for very long. 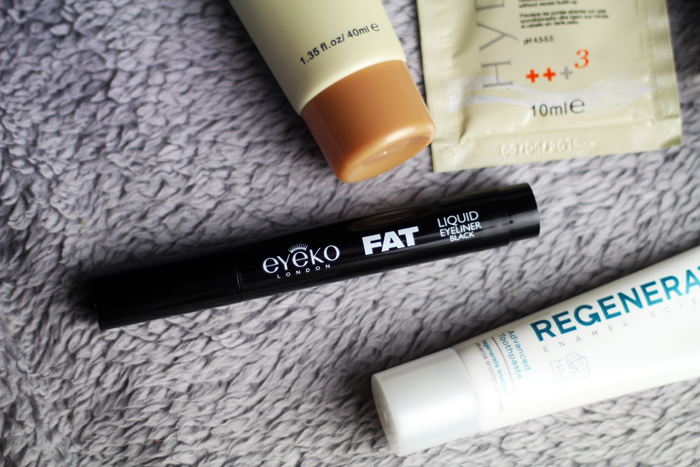 I've heard a lot of great things about Eyeko liners over the years and this one looks incredibly pigmented and easy to apply. The size of the nib appeared a little scary at first, but the tip is quite pointy so I think it would be fairly easy to achieve either a thick or a thin-ish line. 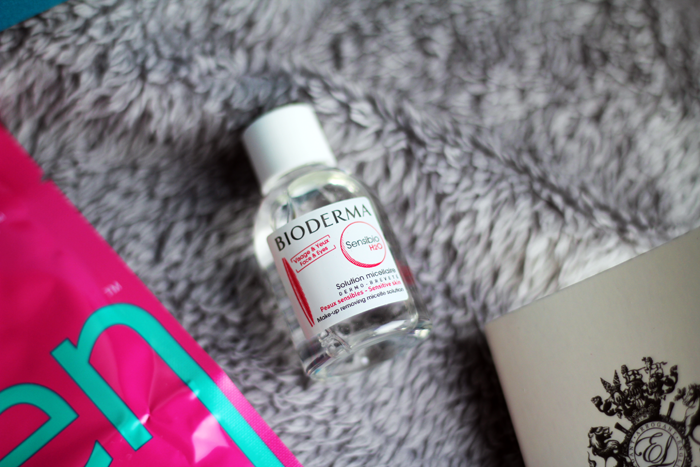 There is also a miniature bottle of Bioderma in this box, except this time the formula is slightly different and more dry-skin friendly. 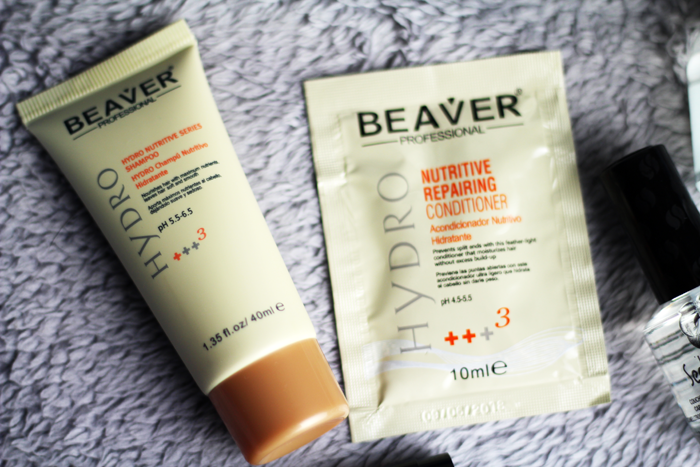 The Beaver moisturising shampoo and conditioner will probably be something I'll pass on because my hair is quite fine and it often weighed down by hydrating products. I like that these use the nourishing power of avocado and aloe vera though, they sound really nice. 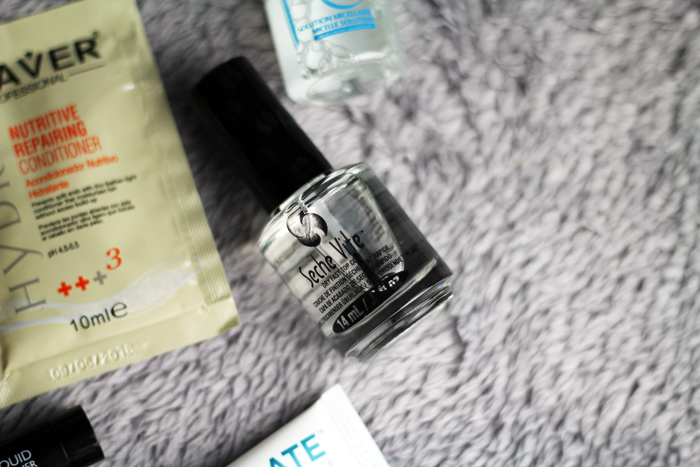 Seche Vite is another product I've seen mentioned on many blogs and youtube channels for years. It's supposed to lock in colour with its durable and glossy finish all whilst leaving nails touch dry in minutes. 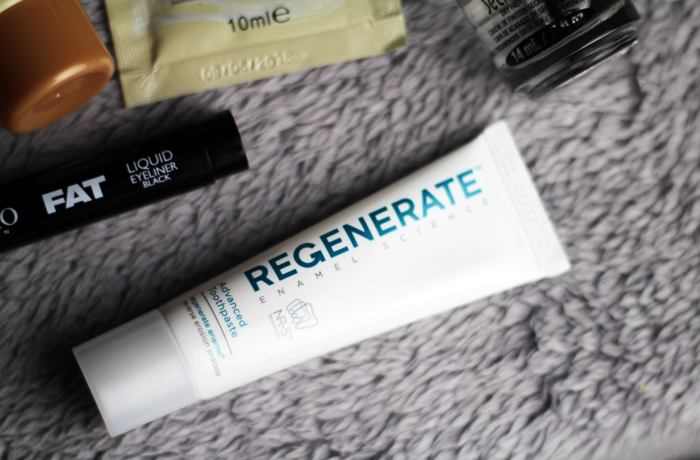 The Regenerate Toothpaste is actually the product I'm most intrigued by in this particular box. Along with my eyesight, I probably spend a little more time than is normal contemplating my teeth. They aren't perfectly straight or pristinely white, but if there's anything that I can do to help keep the dentist at bay I'm all ears. I have no idea if this will do anything special, but we'll see! 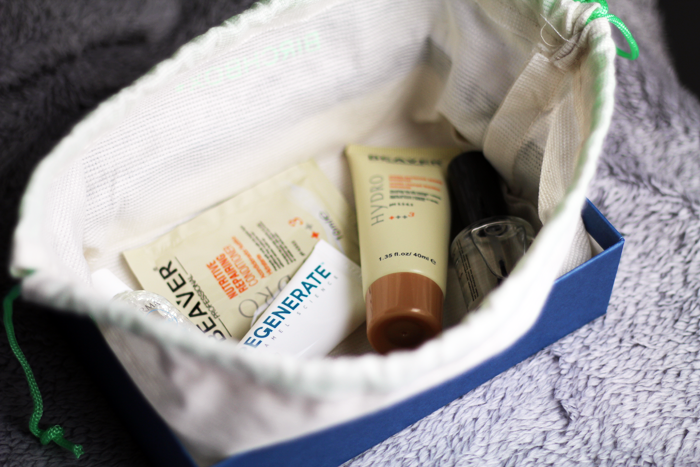 The Stylist Box gets my vote this month. 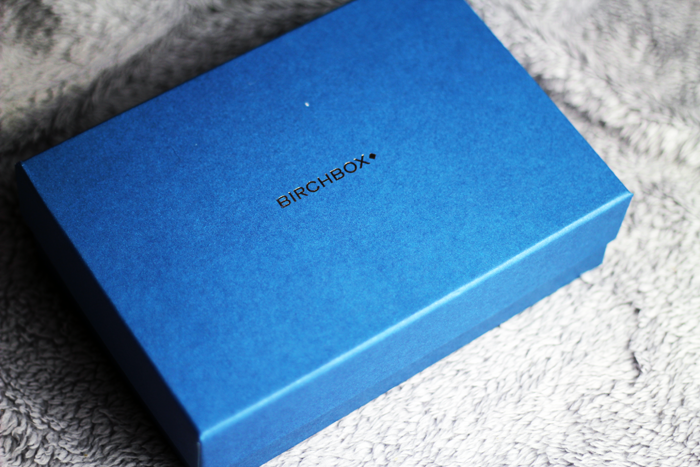 Which Birchbox would you choose to receive?